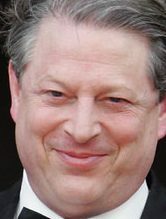 Davos: Algore Does Not Like How We Peons Live. The influx of private jets is so great, the Swiss Armed Forces has been forced to open up a military air base for the first time ever to absorb all the super rich flying their private jets into the event, reports Newsweek. “Decision-makers meeting in Davos must focus on ways to reduce climate risk while building more efficient, cleaner, and lower-carbon economies,” former Mexican president Felipe Calderon told USA Today. Davos, which has become a playground of sorts for the global elite, is expected to feature at least 40 heads of state and 2,500 top business executives. Former Vice President-turned-carbon billionaire Al Gore and rapper Pharrell Williams will be there as well; each plans to discuss global warming and recycling respectively. Until these self-proclaimed do gooders and faux expert start treating global warming, climate change, or whatever, like a problem instead of an excuse for an expensive lark in the park, there is no need, at all, to take these jokers seriously. Hat tip: Darleen, Protein Wisdom .